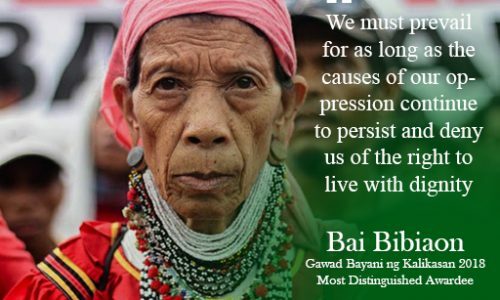 Hailing from the lush peaks of Pantaron Mountain Range in the Davao region, Abiok Ligkaian Bigkay, or “Bai Bibiaon”, is known as the only living woman warrior and chieftain of the Lumad people that has taken the helm in asserting the Lumad’s right to their ancestral domains and in preserving its rich biodiversity and natural resources. 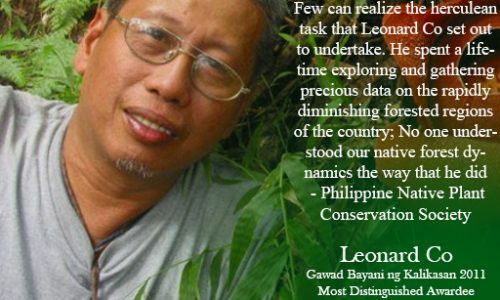 Leonardo Legaspi Co (1953 – 2010) was 56 years old when he was felled before his time; a selfless scientist for the people, botanist, conservation biologist, acupuncturist, ethnopharmacologist, and a teacher to countless people. 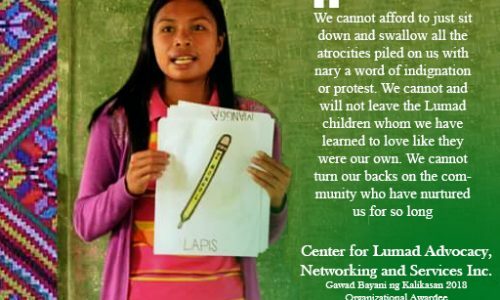 The Center for Lumad Advocacy, Networking and Services (CLANS) is a patriotic institution that promotes scientific education for the indigenous Lumad people in the SOCSKSARGEN region of Mindanao. 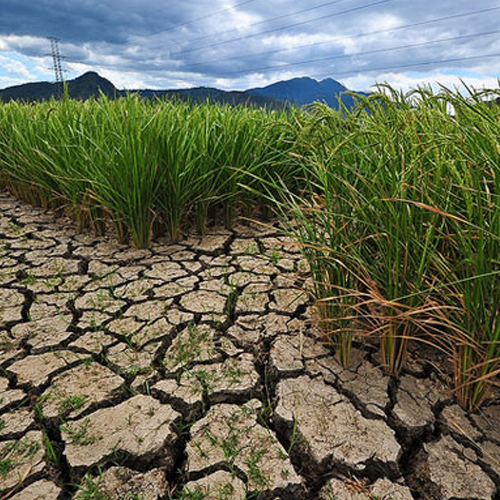 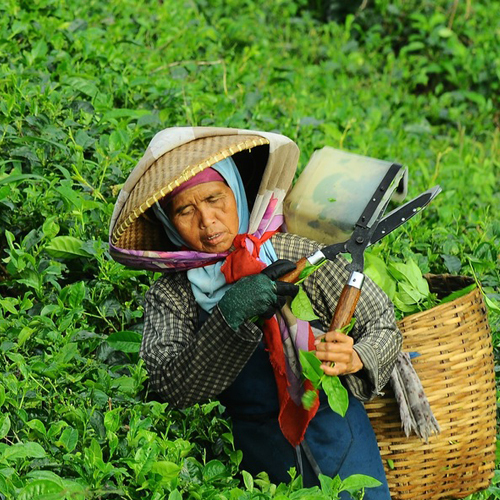 CPA’s DLLR – Defense of Land, Life and Resources – covers major environmental issues such as mega dams, large-scale mining, and climate change. 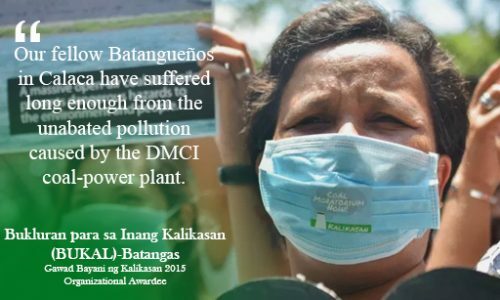 The Bukluran para sa Inang Kalikasan Batangas (BUKAL Batangas) was formed in the midst of rallying cry of different sectors in September 2008, pledging to protect the province of Batangas against large-scale and destructive mining projects and coal-fired power plants. 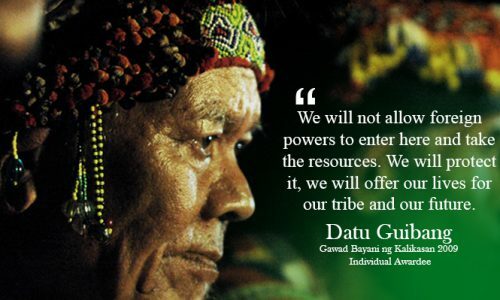 Datu Guibang Apoga is the chieftain of the Ata-Manobo Talaingod, Davao del Norte province. 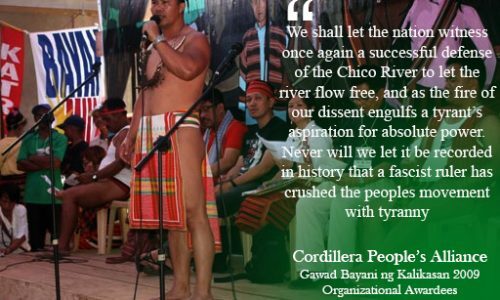 In 1994, he and his community’s baganis (warriors) waged war using traditional weapons against the logging company, C. Alcantara & Sons (Alsons) to defend their ancestral land. 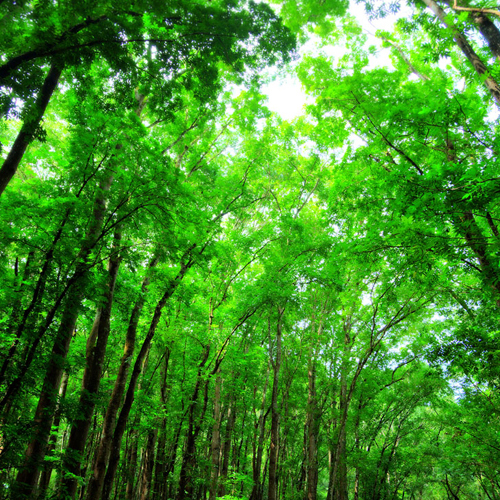 After the event, in 1997, the military filed murder charges against him. 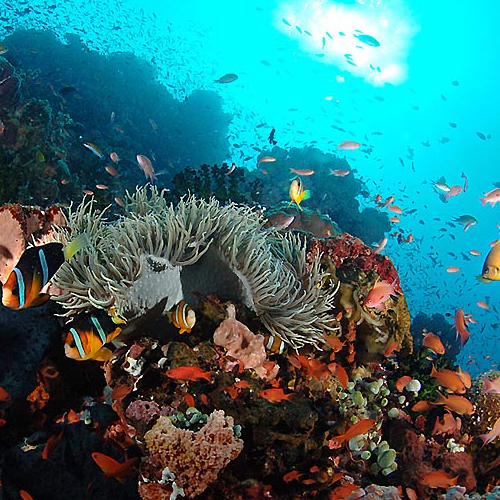 Currently, he resurfaced after hiding for two decades due to the need to recover from his ailments.